In February 1919, Marie Juchacz, 40, took the floor in the Weimar National Assembly. "Ladies and gentlemen, this is the first time in Germany that women are allowed to speak to the people as free and equals," she said. Documents from the time tell us that the House reacted with "hilarity". But a century later, women's suffrage is taken more seriously. Exactly 100 years ago, on January 19, 1919, Germany introduced universal suffrage, for the first time allowing all women in the country to participate in elections both as voters and standing for election. The decision was first introduced on the day of the Armistice of Compiègne, November 12, 1918, which officially marked the Wilhelmine Empire's defeat. In an address "to the German people", Germany's Social Democratic provisional government announced that the next elections were to be held "based on the proportional electoral system for all male and female persons at least 20 years old." Germany was far from the first country to allow their women citizens to vote: out of the independent countries that had been established at the time, New Zealand was the first to introduce universal suffrage in 1983. The first European state to do so was Finland, in 1906, followed by Norway in 1913 and Denmark in 1915. In Germany, the introduction of universal suffrage paved the way for the election of the first women in parliament: of the 300 women who stood in the 1919 elections, 37 won, which made up 9% of the National Assembly. Juchacz, incidentally, was one of them. Yet, Chancellor Angela Merkel warned that there is still a lot of work to do before real equality between men and women in politics is achieved, as is the case in other fields. 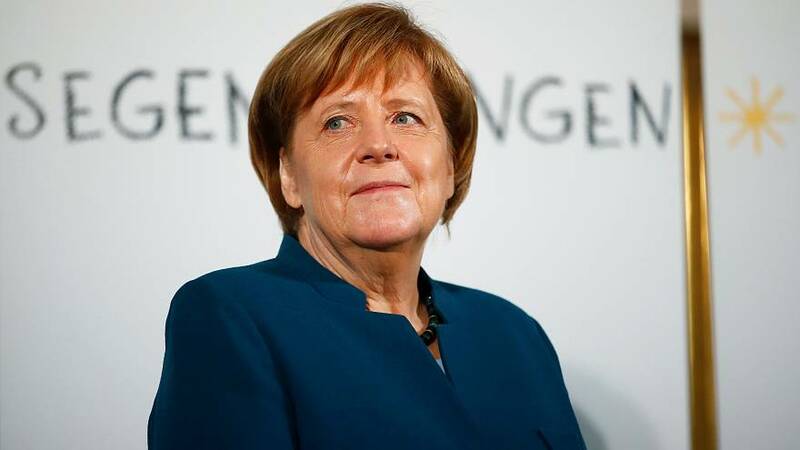 Speaking on the anniversary of Compiègne in November 2018, Merkel — the first female German Chancellor in history — said: "A swallow does not make a summer, and the fact that I exist must not be an alibi." Indeed, although women gained the right to vote in 1919, many decades passed before other oppressive laws were repealed. Until 1977, for example, women in Germany couldn't work without their husband's permission, and female representation in parliament remained under 10% until 1983. "It should not take another hundred years," Merkel said, until "parity everywhere" is achieved. In 2019, women still have a hard time voting in several countries. The Vatican City is now the only country where universal suffrage still doesn't exist by law after Saudi Arabia approved it in 2015. In Afghanistan, women are required by law to ask permission from a guardian before leaving their homes, making it dangerous to vote without a man's consent.